What does innovation mean in your business? The ability to adapt shows no sign of losing trending steam in 2019, with plenty of good disruption on the horizon. Here are just a few technology, workplace and management trends that should make the last year of the decade one of the best. Key to almost every digital product changing the business landscape today, the cloud’s relevance is less about what it does on its face and more about the underlying potential such a simple concept can enable. In the facility management world, trends like improved hybrid cloud options and service meshing, among others, should do the cloud proud in 2019. Will 2019 be the year AR and VR finally become the technological forces experts have long predicted? All signs point to a solid maybe. At minimum, it will have gained major traction by the time 2020 rolls around. From virtual office walkthroughs to pre-visualization of digital furnishings in an existing space, AR and VR promise to make life easier for FMs. 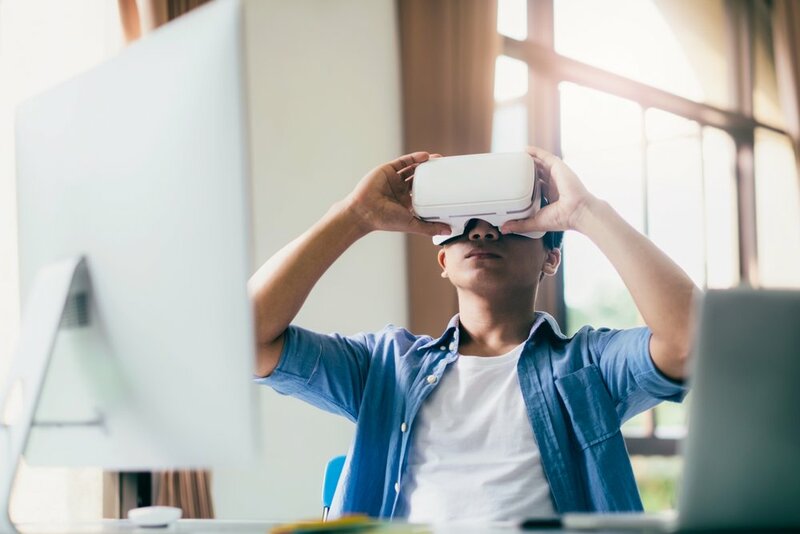 If not mainstream enough to be on every facility manager’s desk by year’s end, AR and VR should gain exposure and saturation enough that most will have experienced it—and started dreaming up innovative ways to use it—by then. As familiar as most of us are with what’s become a household term, businesses have ramped up investment in IoT tools at a rate that is hard to ignore. Consider solutions that monitor desk tenancy and usage for analytical purposes or automatically alert relevant personnel to malfunctioning equipment. For FMs, the spotlight on IoT means tools to take care of checking inventory and tracking energy use, leaving managers free to focus on big-picture planning. Products in this vein are perfectly viable right now, and it’s only a matter of time until one takes the working world by storm. Smart spaces are effectively a culmination of the technologies we already rely on. These intelligent work and living environments use automation, digital intelligence and a cross-functional set of tools to boost space efficiency through products that can communicate with each other. Though this trend isn’t as far along as some others on the technology list, the idea’s too common sense to imagine it going anywhere but up, and the implications for facility managers are numerous. In simple terms, biophilic design uses forms from nature to keep offices looking good and employees feeling good. Sounds (running water, natural ventilation), textures (wood grain, natural fibers); colors (earth tones, sky hues) and plants can all play a role in nature-influenced design, giving stakeholders immense freedom as they build offices that respect employees’ needs for organic environments. In 2019, expect more workplaces to follow in the footsteps of major tech companies like Etsy and Amazon, which have adopted the philosophy in spades based on its purported health and productivity benefits. 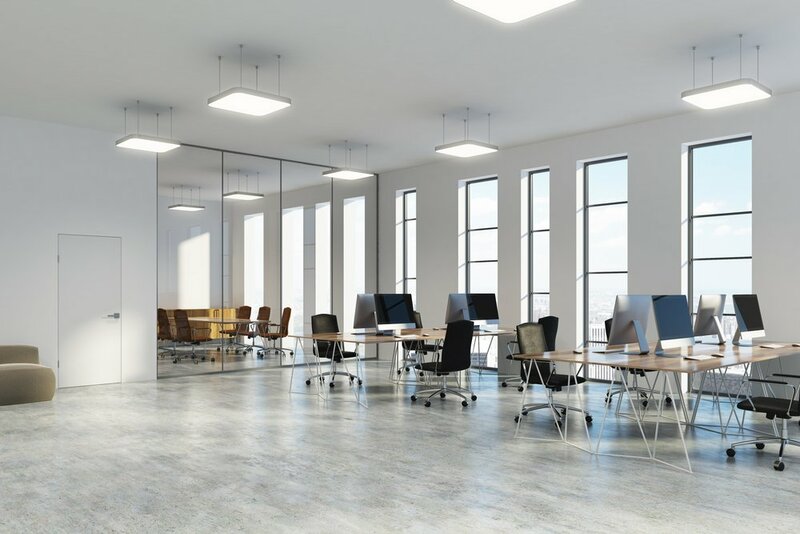 Sentiment regarding open-plan offices was divided in 2018, and it wasn’t always pleasant. 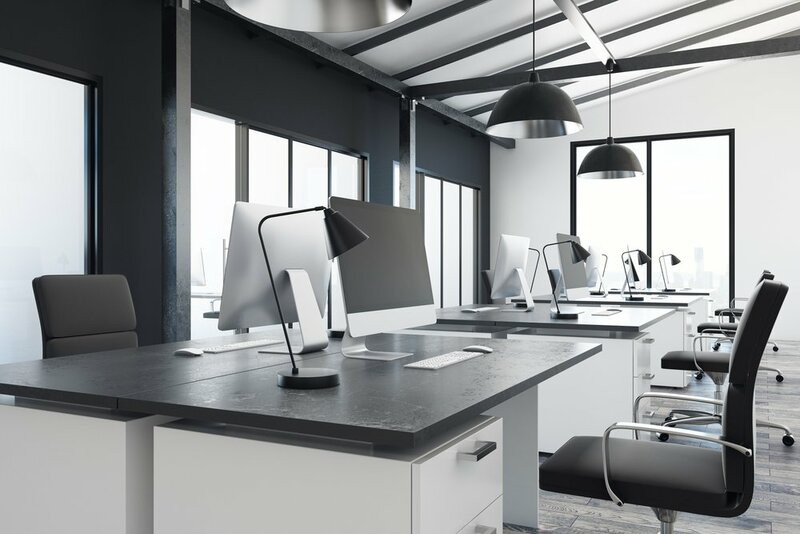 In 2019, offices will undoubtedly react to the shift in opinion, testing out plans that implement coworking areas, private work rooms and other functional spaces to relieve the pressures of open-plan working. Instead of an all-in open plan, for example, a large office might offset a cowork wing with a bank of private “phone booth” desks. Businesses opening cowork spaces may also wish to revisit policy regarding noise levels and headphone usage. Take a page from Slack’s many offices and make sure your layout works for your teams. The open floor plan is hardly dead, but it’s clear many spaces need to approach the philosophy with care—in this sense, 2019 may be the year it finally hits its stride. Two design trends that won’t go anywhere in 2019: enhanced mobility and the increased employee expectation of flexible work. 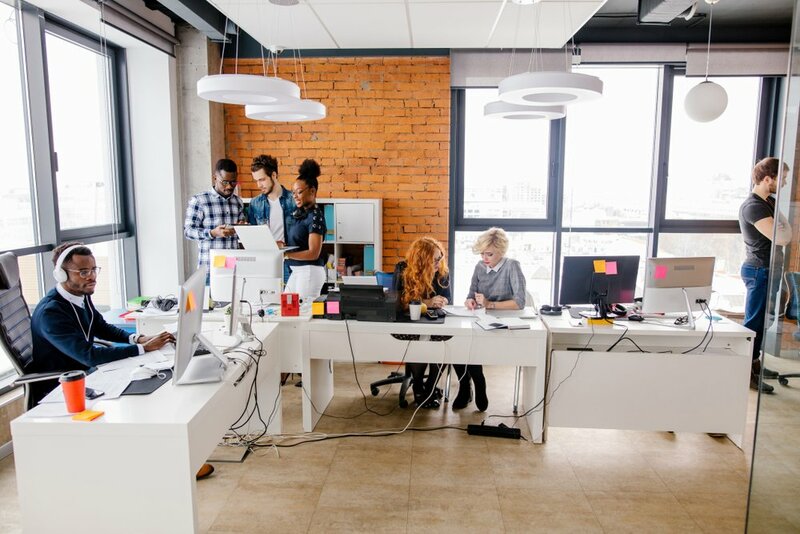 In design and facility management terms, meeting these trends will mean offering spaces that support a mix of in-house and partly-remote employees. Rolling out hoteling or hot desking or simply upgrading your company’s desk reservation system can allow employees and managers to make real-time seating decisions; and solutions like Slack, Basecamp and Toggl ensure remote work is seamless for employees as well. However your organization chooses to structure their work hours, an ever-growing collection of mobility tools ensures more offices will tackle this consideration in the new year. Management expectations and duties have also seen substantial change in the mobility era, and 2019 should be the year they start to gel. 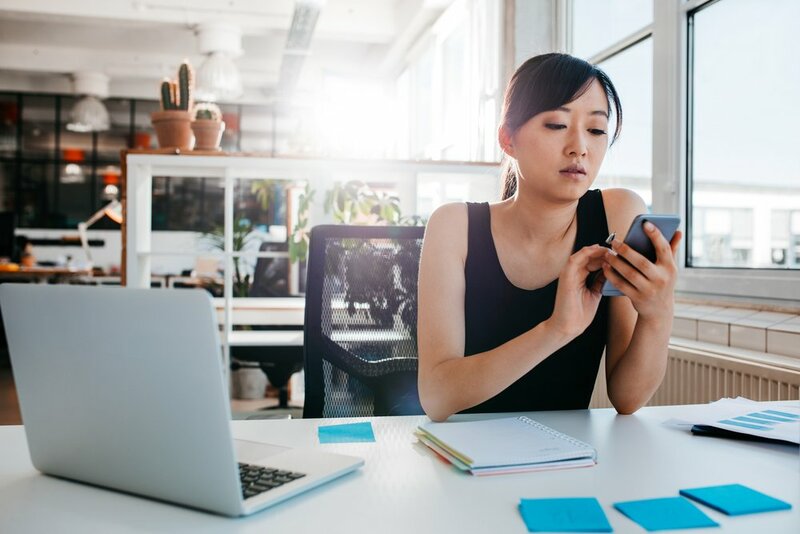 As called out by Forbes in 2018, HR managers will spend more time this year engaging with mobile employees, providing ongoing feedback through employees’ preferred communication channels. Employee experience should be front-of-mind for managers in all fields: the concept is being hailed as a cure-all for everything from the talent shortage to corporate turnover. And when it comes to the health of your workplace, don’t overlook privacy, self-care and financial wellness as opportunities for your company to compete when attracting new employees. In contrast with their more traditional baby boomer predecessors, the emerging workforce is actively seeking these holistic benefits. Just when you thought you had the latest generational subtleties mastered, Generation Z—and its tens of millions of future employees—are ready to innovate. Offices wishing to engage this incoming wave of talent should focus on clearly communicating company culture, having effective digital tools on hand and tidying up their eco footprint: the latest generation to enter the workforce is socially conscious, digitally native and passionate about the planet. On a larger scale, companies adapting to Gen Z needs should appeal to the generation’s drive for purpose by providing a clear idea of a role’s value and potential for career growth. With 2018 in the books, 2019 will be all about seeing what trends stick, and which float off into the ether. Though the tools may differ and the demographics may turn over, facility managers will still be doing what they do best: addressing the needs of an expanding and changing workplace. Let OfficeSpace guide you through the new year with tools that make critical space management easy. Request a demo today.